Mackinac – Is It ‘aw’ or ‘ak’ or just good Ice Cream? When traveling in Michigan, a favorite of tourists and Michiganders, alike, is Mackinac, Mackinac Island, and Mackinac Island Creamery. Mackinac Flavors began in 2001 as a new ingredient company, and by the year 2002 Mackinac Island Creamery was introduced featuring premium ice cream flavors centered around themes pertaining to the Great Lakes. In 2003 another element was added, Mackinac Island Trading Co, stretching beyond the ice cream industry with foods such as candy, fudge & coffee all with Great Lakes themes. Mackinac Island Creamery is a company that has, in the past few years, became synonymous with unique and luscious premium ice cream flavors. 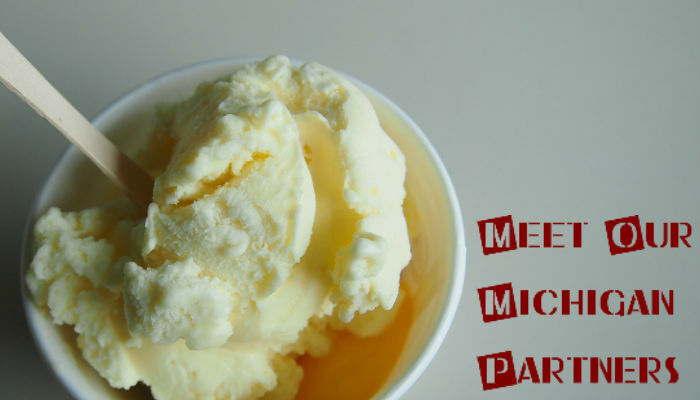 Mackinac Flavors and Mackinac Island Creamery are consistent crowd pleasers and have repeatedly taken the honor of taste testing venues across the Midwest. Whether it’s vanilla ice cream topping our Chocolate Chip Brownie & Blondie Sundae, or accompanying a season slice of Strawberry Shortcake, or in a bowl putting the finishing touch to satisfying meal, at Carlyle Grill, we’re proud to serve Michigan and Mackinac Island Creamery at our table.